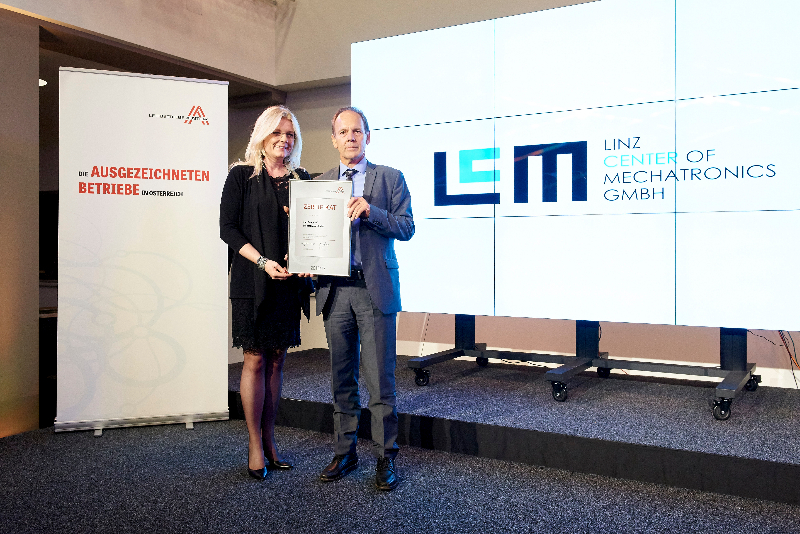 The Linz Center of Mechatronics GmbH (LCM) was again re-certified in the Excellence platform “Leading Companies of Austria”. Since several years, LCM is a certified member of the “Leading companies of Austria”. The “Leading Companies of Austria” is the excellence platform by the leading enterprises of the Austrian economy. The mission of the platform is: “together we are a brand” in order to present the “Austrian leading companies” with its value-oriented objectives such as innovation, growth, market position and employee development for the public internationally. In order to keep the high quality standard around its members up, the quality criteria are checked repeatedly. LCM has fulfilled all these quality criteria again and therefore stayed certified again as a “Leading Company of Austria” for the next year. 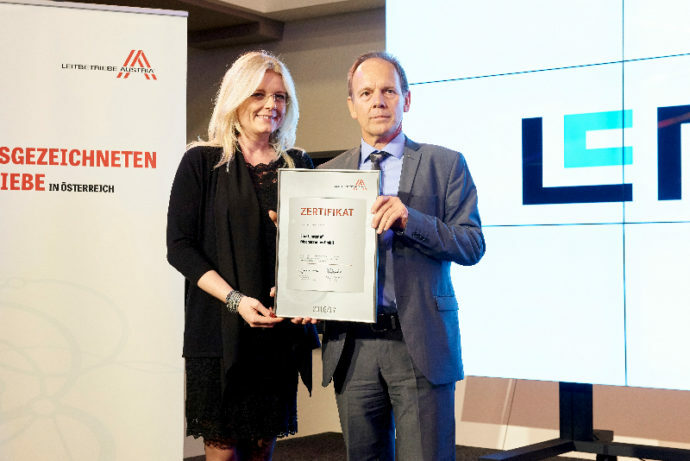 On 22nd September 2016 the certification was handed out by Monica Rintersbacher, CEO of “Leading Companies of Austria” to Gerald Schatz, CEO of Linz Center of Mechatronics GmbH. For more information and the press release for the award ceremony can be found HERE.